New Delhi: Health groups alleged that a doctor-industry nexus was resulting in exorbitant prices of life saving coronary stents and demanded Centres imtervention and implementation of a legally binding code for marketing of health products. The analyses of industry data published by the National Pharmaceutical Pricing Authority (NPPA) show “massive” margins charged at each step in the distribution and supply of stents and by the time the patient receives them, the increase from the original cost is often in the range of “1,000-2,000 per cent”, they said. Asserting that the Centre should uphold fundamental right to health by not succumbing to “pressure” from medical industry, the health bodies also demanded an investigation by Medical Council of India (MCI) on the alleged professional misconduct of office bearers of the Cardiological Society of India indulging in “unethical lobbying”. “We have consistently highlighted the unconscionable prices that patients across the country are paying for stents that are pushing them and their families into increasing indebtedness or leaving them without life-saving treatment. “The pricing data which was submitted by the industry to the NPPA has made it clear beyond doubt,” said Mira Shiva of the All India Drug Action Network (AIDAN). The health groups included AIDAN, Alliance of Doctors for Ethical Healthcare, Third World Network, Jan Swasthya Abhiyan and the National Working Group on Patent Laws. 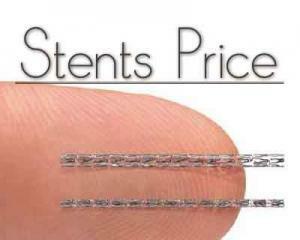 The groups said that price fixation of coronary stents should be limited to two categories ? Bare Metal Stents and Drug Eluting Stents ? as instructed by the Department of Pharmaceuticals in its notification on December 21 last year. “The ceiling prices fixed by the NPPA must meet the objective of ensuring true affordability and should be fixed on the basis of the CGHS reimbursement rates. “The government should develop standard treatment guidelines for cardiovascular interventions with the help of expert doctors free from conflict of interest and implement medical audits of procedures,” they demanded. “The MCI should investigate the professional misconduct of doctors, particularly office bearers of the Cardiological Society of India that have indulged in unethical lobbying. Government must immediately implement a legally binding code for marketing of health products including devices,” they said.